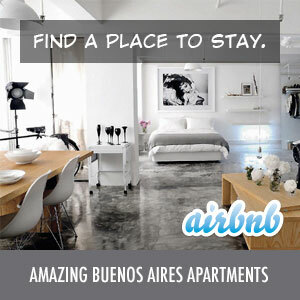 I am was a huge fan of the daily deal sites, and was especially happy when Groupon came to Buenos Aires last July. However, there are now at least 18 20 daily deal sites operating in Buenos Aires, and keeping up with that many emails on a daily basis is just a chore and no longer any fun. Luckily, a couple of daily deal aggregators have launched to make this process much easier. They send you one email every morning with all the deals from across the sites. This allows you to quickly look through the list and then click on any that interest you, thus avoiding the need to go through twenty or so separate emails. Dealandia is my favorite of the two aggregators. Their emails are well laid out and very easy to quickly skim through. They also categorize each deal which allows you to skip to the ones you’re interested in (spas, restaurants, etc). The only problem I have with them is that you cannot tell if the deals are in Capital Federal or outside until you click them which is a bit of a time waster. The other aggregator is Descuentocity, and while they were the first to market, they have fallen behind Dealandia both in terms of design and features. Their emails are not as attractive and they do not categorize the deals either. My recommendation is to unsubscribe from all your daily deal emails, sign up with Dealandia and start enjoying the daily deals again without having to spend too much time going through your email every morning. As a side note, most of these daily deals sites in Buenos Aires use DineroMail to handle their credit card processing. Unfortunately, DineroMail does not accept international credit cards, which leaves most expats without an easy way to grab a deal. The only solution at this time seems to be signing up for a DineroMail account and then adding funds to your account in cash at a RapiPago (click on “Agregar Fondos” once you are logged into DineroMail for more info). It’s not the best solution, but it works. Of course, you can always find an Argentine wife and use her credit card like I do, but this may not be recommended for everyone.